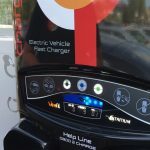 ChargeNet, the largest electric vehicle (EV) fast charging network infrastructure provider in the Southern Hemisphere, is delighted to have played a part in helping to bring to life game-changing electric vehicle (EV) database, EVRoam, which was launched today by Associate Minister of Transport Julie Anne Genter. The live database, which was created by the NZ Transport Agency in collaboration with industry partners including ChargeNet, collects data directly from all of New Zealand’s electric vehicle (EV) charging infrastructure providers. EVRoam then freely distributes this information, maximising the profile of the available charging infrastructure though dozens of existing apps and maps, such as the Transport Agency website, the NZ Automobile Association website, and the ChargeNet app. ChargeNet CEO Steve West sees the enormous benefits that this newly launched software provides to EV owners. “This stops the need for consumers to rely on potentially unreliable crowd-sourced information, which means a better consumer experience for our customers.” said Mr West. 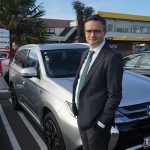 “Being able to access information about the chargers – where they are, what makes and models they support, and whether they’re operational or not makes it easy for EV owners to plan their journeys and helps to remove range anxiety.” he added. Importantly, EVRoam not only provides information to drivers. It provides a real incentive to continue to meet the standards for safe, reliable, monitored and interoperable infrastructure. Mr West also noted that developing EVRoam could not have been made possible without the leadership of the NZ Transport Agency, and the collaborative effort from ChargeNet and other energy and automotive partners. “We are delighted to have joined with a number of future-focused organisations to bring to life this world leading software and help transition New Zealand towards a carbon neutral transport future.” said Mr West.